First, check every faucet throughout the house. Determine if the problem is widespread or contained to just one fixture. A one faucet problem is usually the simplest to fix. If that doesn’t increase the flow, make sure the water valves under the sink are fully opened. You’d be surprised at how often these are partially closed. Still no luck? Turn off the water and disconnect the supply lines. Flush them out noting any blockages. Reconnect. Still low pressure? Well, if your faucet is elderly, try installing a new one. Note too, that if it’s only the hot water that is still slow, it may be a water tank issue, as sediment in older tanks can create a blockage. 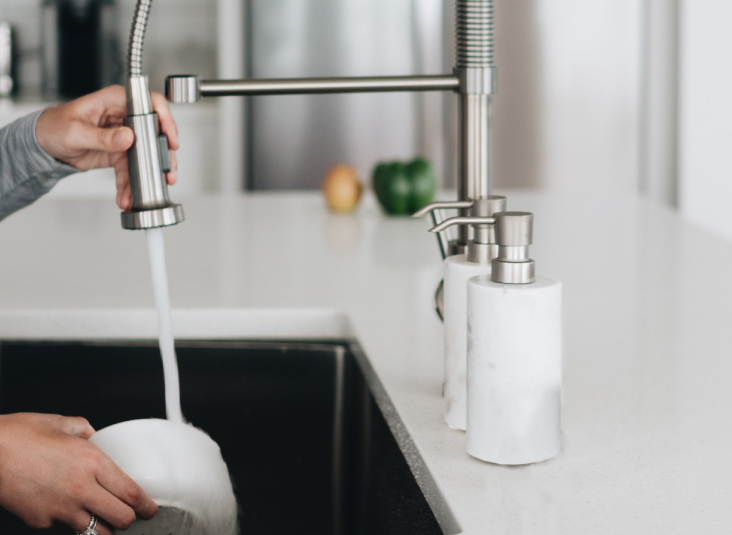 If all these efforts didn’t increase the flow, either the pipes leading to the faucet are plugged, or they’ve corroded and are leaking somewhere along their path. Either problem requires a plumber. If the water is slow throughout the house, the fixes are a little different. First double check the main water valves, the ones by the meter. There’s a chance that they’re not fully opened, and if they are old and sticking, there could be build up right there blocking water flow. Gently twist the handles back and forth and it may dislodge any debris. Next, if your home has one, have a plumber check the pressure regulator. This bell-shaped device can deteriorate over time and cause a sudden drop or spike in pressure. If none of the above efforts takes care of the problem, then unfortunately we’ve come to the worst case scenario. The pipes must be very clogged, or they’re leaking in places that aren’t obvious. You can’t just ream these pipes clean nor patch them; they must be replaced by a professional plumber.